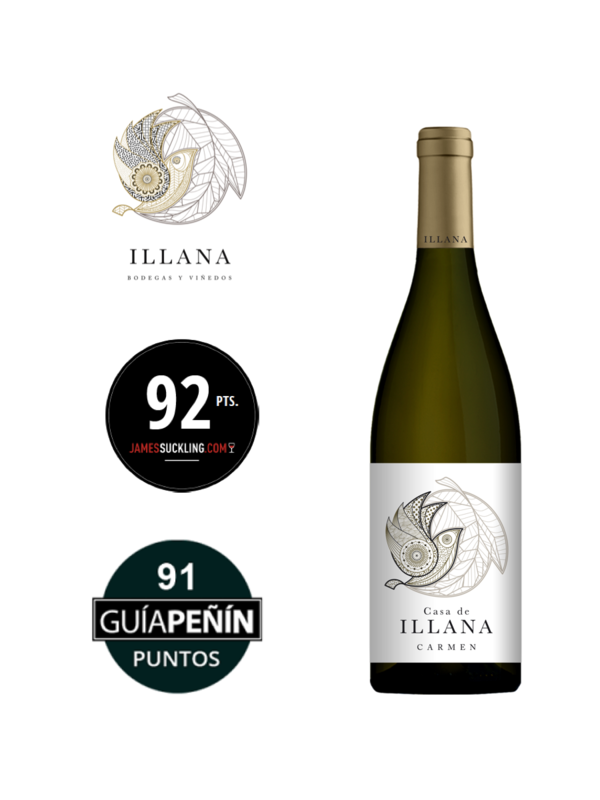 Casa de Illana Carmen, gold medal at the Concours Mondial du Sauvignon Blanc 2019. Our wine made with the Sauvignon Blanc variety, Casa de Illana Carmen 2017, has obtained one of the six gold medals won by spanish wines in the competition, which was held in Udine (Italy). Casa de Illana Carmen comes from our only vineyard of the french variety Sauvignon Blanc. At an altitude of 750 meters above sea level, it is a 15-year-old vineyard, planted in alluvial soils of the Denomination of Origin Ribera del Júcar. It is characterized by being a soil with a clay-sandy texture, a surface of small pebbles and a petro-calcic horizon at a depth of 35 cm. The clayey component of the soil helps the retention of water, being therefore a fresh soil, the stony horizon ensures good drainage by preventing waterlogging at the root level. For the elaboration of this wine a partial fermentation in barrel is carried out and subsequent aging of 6 months on fine lees in French oak barrels of 500L. It is a limited production of which we produce 3500 bottles. Carmen is one of our most emblematic wines and marks a consolidated step in which Bodegas Illana is moving towards the development of more personal and unique parcel wines. Lemon yellow and dense, intense aroma, citrus notes and tropical fruits. The palate is tasty, persistent, good acidity and vivacious. The tenth edition of the Sauvignon Blanc World Contest was held this March in the Italian city of Udine. There have been more than 1,000 wines registered. In the case of wines from Spain, a total of 11 medals have been obtained, of which 6 are gold and another 5 silver.